For several months now I've been inundated with pop-ups and adverts on the internet to download a new and fantastic web browser made by Google: Chrome. Surely you have all heard about it or even use it yourself. I did try the browser once but I could not stand it. I much prefer Safari and Firefox. All the same, I was curious about what was supposed to make Chrome so special. Then, the other day I read about an exhibition at the Science Museum that is running until June 2013. 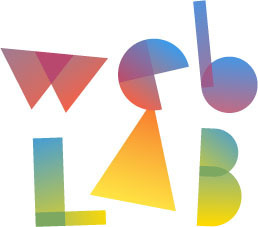 It is called Web Lab. Web Lab is located in the basement of the museum, and is an experimental project made by Google based on the technology used for their Chrome browser. Intrigued to learn what it was all about, I went to the Science Museum to have a look, but I was thoroughly disappointed by the experience. Web Lab is a series of five interactive experiments that are part of the make-up of Chrome's inner workings. At the exhibition you are able to try out these experiments for yourself, and save the data on a type of card, which you can later share online at home by using a web camera. The first experiment claims to allow you to create music and then share it online with your friends. You are presented with a touch screen, on which you drag dots from one spot to another. As you move the dots, percussion instruments and drums play. The result is poor to say the least. The loud, arhythmic, beating drums sound like a really bad brass band, and the actual control you have over the sounds you make is minimal, as the dots give no indication of what notes will play. The so called music you make is not something you're going to want to share. The teleporter apparently transports you to another place on the globe, and make you feel like you are really there. Hardly. It's nothing more than a submarine periscope. You look through the view screen and get presented with a very grainy moving image that is projected on the ceiling. You don't feel like you have been transported anywhere. The sketchbot is probably the most interesting of the five experiments. You stand in front of a webcam that takes your picture. The computer then traces the contours of your face, and a mechanical needle draws your face in the sand. Data Tracer is probably the most informative experiment, and gives you a certain idea about what Chrome is about, but in terms of interaction it is pretty boring. Basically, you choose a photo from the touch screen and Chrome will then trace its location and tell you how long it took to find it. When I did this, I was told it took something like 0.4 seconds, but I was standing there at least five seconds before the search was over. Lab tag explorer isn't really an experiment. All it does is allow you to view all the activities you've done by holding up your memory card to the screen. It's no different to searching for a file on your USB stick. There is no doubt that all the technology that makes this possible is very clever, but that does not mean that it makes for a good exhibition. The technology was not really shown off to its best because a) a number of the machines were having 'technical difficulties', which doesn't exactly inspire confidence, and b) Google focussed on providing gimmicky experiments rather than actually explaining how the technology works. I am no more informed now than I was before I went. If you are interested in trying out the experiments, you can also do them online (if you have a Chrome browser), and it saves you having to visit the museum.